European film directors at work in Hollywood silents, early 20th century. It was pretty common and there were quite a bit of them who were lured to Southern California: they left their native (often Central European) countries and found a new life, often along with fortune and fame, in Hollywood. Some of them are still remembered and adored for their contribution to the motion picture industry, although most of them have been completely forgotten now, a century later, give or take a few years. History books don’t include a chapter about their career in films and, who knows, gradually they will fade away and become nothing more than a footnote in the history of motion pictures. One of today’s lesser known and early filmmakers, working on both sides of the Atlantic, came from Belgium. His name was Jacques Feyder. Not really a trendsetter, he was considered nevertheless a true craftsman in the late 1920s at MGM, and Greta Garbo loved working with him. They made two films together. 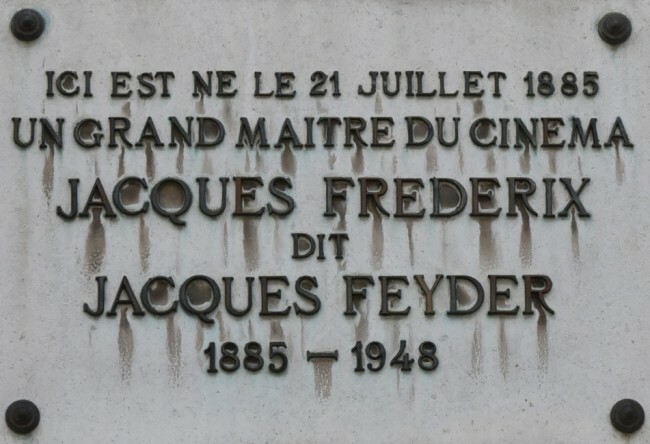 Born on July 21, 1885, in Elsene, near Brussels, as Jacques Léon Louis Frédérix, Jacques Feyder was educated at the École Régimentaire in Nijvel (a.k.a. 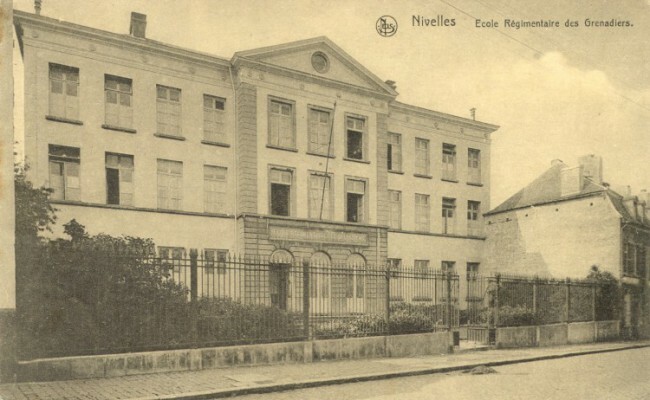 Nivelles), and was destined for an army career his family originally had planned for him. 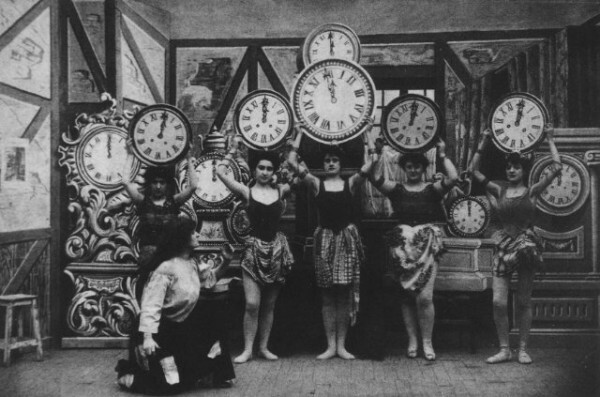 At age 25, he moved from Brussels to Paris where he began as a small-part stage actor in Paris (1910-1912) and in Lyon (1912-1914), and as a screen actor he debuted as the prince in film pioneer Georges Méliès’ 24-minute short “Cendrillon ou la pantouffle merveilleuse” (1912, a very early “Cinderella”). Four years and a about dozen of shorts later, he started directing shorts himself for the Gaumont Film Company, founded in 1896 by Léon Gaumont, and he married a young actress called Françoise Rosay in 1917. After being mobilized in the Belgian army for two years (1917-1919), he made his first feature “L’Atlantide” (1921), based on his own script, an adaptation of the popular 1919 award-winning novel by French novelist Pierre Benoit, which was shot on location in the Sahara. Feyder worked for two years on the film and it became hugely successful at the time, despite its great length – the film epic ran for three and a half hours – and despite the miscasting of his leading actress, silent French screen star Stacia Napierkowksa, Feyder’s first and only choice. As American author and film critic Richard Roud pointed out in “Cinema: A Critical Dictionary: The Major Film-Makers” (1980): “Between the time he first saw her as a sylph-like dancer and the day she arrived for the shooting, her volume had increased to a degree that makes it difficult to see her as a seductress.’ French silent filmmaker, screenwriter and early film critic Louis Delluc, himself married to Belgian-born screen actress Èva Francis, claimed ‘there is one great actor in this film, that is the sand.’ But it didn’t prevent the film from becoming a commercial success. In later years even, remakes of “L’Atlantide” included Georg Wilhelm Pabst’s German sound version “Die Herrin von Atlantis” (1932) with Brigitta Helm, and the Hollywood version “Siren of Atlantis” (1949), shot in the Samuel Goldwyn studios, featuring Maria Montez and her husband Jean-Pierre Aumont. This film did poorly in the US, but was very well received in France with slightly over 2.2 million admissions. 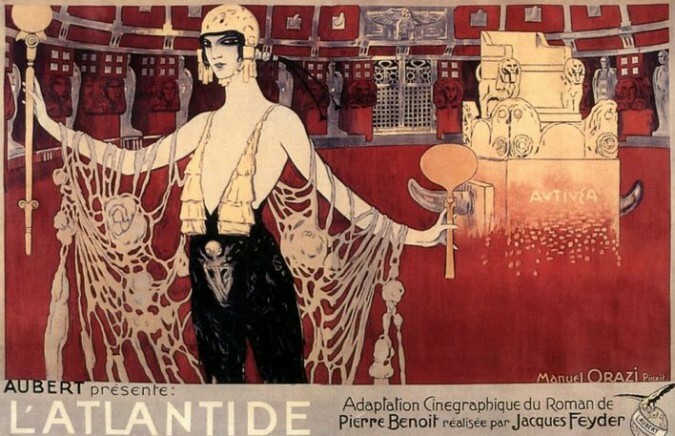 “L’Atlantide” enabled Feyder to make “Crainquebille” (1922), with echoes of pre-World War I German expressionism, which forced John Wakeman to conclude in “World Film Directors, Volume One 1890-1945” (1987) that ‘for many critics, the abiding merit of the film was not in its avant-garde technique or its social message, but in its patient, scrupulous pursuit of psychological truth.’ Praised by the critics and overlooked by the audience, the film was greatly admired by American film pioneer D.W. Griffith. Mr. Feyder then became artistic director at the Vienna-based Vita Films studio, with a contract in his back pocket to make three films. But after only one feature, “L’image” (1925, made in color), he returned to Paris and wrote screenplays for other filmmakers, including “Poil de carotte” (1925) for Julien Duvivier and “Gardiens de phare” (1929) for Jean Grémillon. Meanwhile, Feyder’s next film, “Visages d’enfants” (1925), a French-Swiss co-production which he shot in Switzerland, was a convincing, intimate and unsentimental view of an unhappy childhood (with then 13-year old actor Jean Forest in a leading role) and a very realistic perspective on the lives of all the characters involved. Feyder’s director of photography, Léonce-Henri Burel, who frequently collaborated with French film director Abel Gance, gave the film a powerful look and emphasized the intensity of the drama. Feyder also wrote the original screenplay, not based on material from another medium (although he, as usual, collaborated with his wife Françoise Rosay), which makes it one of his most personal films in his entire film output. Another prominent film of his turned out to be “Thérèse Raquin” (1928), shot in Berlin, and the second film version of Émile Zola’s 1867 novel after the 1915 Italian silent. In Feyder’s film, it was French actress Gina Manès who gave a powerful performance in the title role, after she had appeared already in Abel Gance’s “Napoleon” (1927) as very prominent Joséphine de Beauharnais. But most importantly, “Thérèse Raquin” was a superb director’s film: it demonstrated Feyder’s brilliant versatility and became one of the finest films of the late silent era in France, although Variety’s only cudo in its May 13, 1928, review was that ‘Feyder has accomplished a praiseworthy feat in adapting this book for popular consumption.’ By that time, however, Feyder was hailed by far and large for the poetic and cinematic realism in his films, a movement that would become a driving force in the 1930s with films directed by Marcel Carné, Julien Divivier and others. Following an official ban of the satirical “Les nouveaux messieurs” (1928) for ‘undermining the dignity of Parliament and its ministers,’ Feyder – who had become a French citizen that same year – was invited to Hollywood and started working at MGM. Louis B. Mayer liked Mr. and Mrs. Feyder right away and once Feyder appeared on the set of his first film, “The Kiss” (1929), directing Greta Garbo in her final silent film – as a married woman on trial for murder – she was excited and felt at ease to be able to speak French and German with the Feyders. 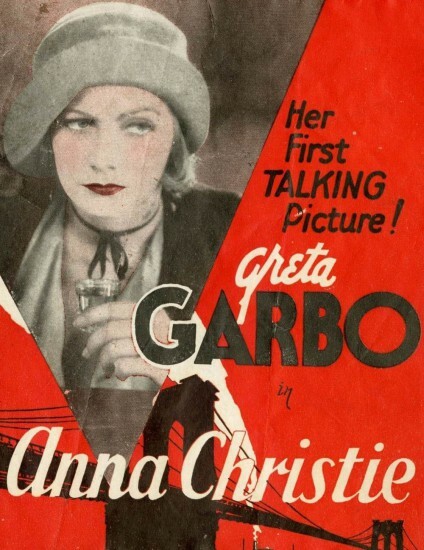 Before shooting began, Garbo was delighted to have William Daniels again as her cameraman (they made 21 films together from 1926-1939), but pretty soon word got out she was equally thrilled to be working with this ‘young Belgian genius,’ a man she instantly greatly admired, and their collaboration continued with her first talkie “Anna Christie” (1930). Since Garbo was pretty fluent in German, French and English, she starred in all three versions, though not with the same cast or director. The foreign-language versions became a regular feature in Hollywood from 1929 until 1931: they were shot on the same sets and in the same sound stages as the American versions, and often with the same supporting cast (though different stars). Clarence Brown was at the time one of the studio’s leading directors, almost invariably assigned to direct Garbo, Norma Shearer and Joan Crawford, and so he did the US version. In Feyder’s German version, Garbo appeared with an all-German cast (including her dear friend and writer Salka Viertel), which was made right after, and not simultaneously with, Clarence Brown’s English-language version. In an attempt to remake Hollywood successes for the European market, Feyder also worked on MGM’s “Le spectre vert” (1930, French version of Lionel Barrymore’s “The Unholy Night” from 1929), and “Si l’empereur savait ça” and “Olympia” (both 1930, French and German version of Lionel Barrymore’s “His Glorious Night” from 1929). While working on “Révolte dans la prison” (1931, French-language version of “The Big House” from 1930), he was replaced during production. Feyder’s final films in Hollywood were two Ramon Novarro pictures at MGM, “Daybreak” and “The Son of India” (both 1931). None of them were well received at the time, but both enjoyed the experience of working together. Feyder later recalled Navarro ‘happy, charming, carefree, extremely optimistic, obliging and eager to please. He was full of laughter, continually leaping from one idea to the next, and for the director, pretty difficult to pin down.’ As for Navarro, he later named Feyder one of the most important directors of his career, after fellow Europeans Ingram, Lubitsch and Mureau. But Feyder decided to return to Europe. He was not the first or the only one to do so: some directors who had arrived in Hollywood in the 1920s, also left after working there for five, six years at the most. But the majority, including Ernst Lubitsch, Josef von Sternberg, Rex Ingram, F. W. Murnau or Michael Curtiz, they all remained in California after having found their niche in the film capital of the world. Feyder was different, though: he was not really happy in Hollywood, having difficulties communicating in English, and he was reluctant to work within the confines of the studio system – something he wasn’t used to in France. Consequently, he considered Hollywood incompatible with his own style and approach, making his stay in the US an unsatisfactory experience. One of his final and unrealized Hollywood projects was a French-language version of Garbo’s “As You Desire Me” (1932) for which he suggested a different voice for Garbo. Back in France, his next project was “Le grand jeu” (1934, remade in 1954 by Robert Siodmak with Gina Lollobrigida and Arletty), a fast-moving melodrama which he co-wrote with Belgian-born screenwriter and film director Charles Spaak, based on Spaak’s novel. 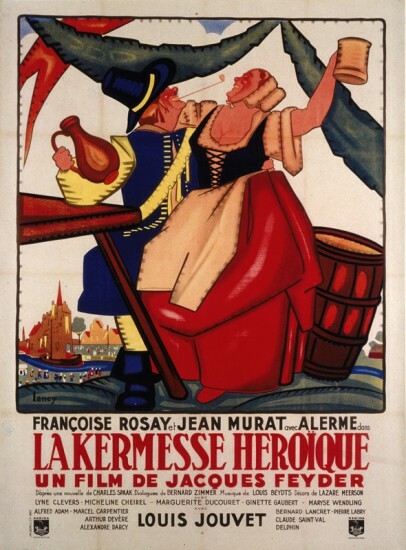 American cinematographer Harry Stradling, Sr. had travelled with Feyder to France and worked with him on some of his most important French films of the 1930: after “Le grand Jeu”, they brought the Flemish paintings to life in “La kermesse héroïque” (1935, a.k.a. “Carnival in Flanders”), a satirical period farce long considered to be Feyder’s masterpiece which became hugely successful and was awarded worldwide, from Japan to the US, although it was banned in Belgium because the Flemish people were portrayed less than heroic, while in the US, the film was condemned by the Legion of Decency. Yet, the film (Feyder also made the German-language version, titled “Die klugen Frauen”) profoundly impressed producer Alexander Korda – up until today still considered one of Britain’s very few movie moguls – that he decided without any hesitation to hire Feyder and Stradling to come over to London to make “Knight Without Armour” (1937) with a stellar cast headed by Marlene Dietrich playing a seductress, once more, opposite Robert Donat as a revolutionary spy. During the shooting, Feyder only had to report to his boss Korda, but on the set, Miss Dietrich was the one who really was in charge. As she was used to making only Marlene Dietrich films in Hollywood, she wanted to make sure that “Knight Without Armour” remained a Dietrich picture all the way. 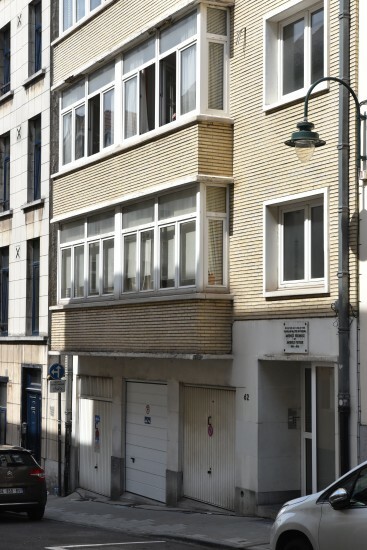 She gave orders to the electricians, and made sure that she only wore the haute couture outfits she preferred, whereas Feyder suggested her – in vain – to dress more modestly. On the set of “Knight Without Armour”, Jack Cardiff was Stradling’s assistant cameraman; both became leading cameramen, each of them winning Academy Awards later on – Cardiff for “Black Narcissus” (1947), Stradling for “The Picture of Dorian Gray” (1945) and “My Fair Lady” (1964). 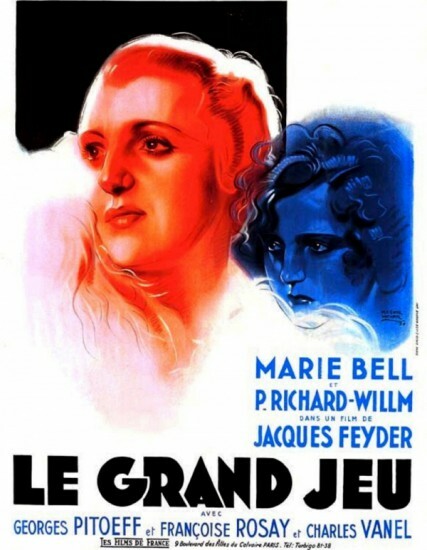 In between, Feyder triumphed with “Pension Mimosas” (1935), a psychological drama set on the French Riviera, with his wife Françoise Rosay as a boarding-house keeper of the Pension Mimosas in one of the most substantial roles of her career, making her again the revelation in a Feyder film. Earlier, in “Le grand jeu”, she was the fortune-teller and Charles Vanel’s sadly stoical wife, while in “La kermesse héroïque”, she played the burgomaster’s resourceful wife opposite Louis Jouvet. Looking back to their respective careers (hers lasted until 1973), as it turned out, neither was ever as good without the other. His strength as a screenwriter-director and theirs as a director-actress and screenwriting team (she frequently collaborated with him on his screenplays) was their principal role and contribution of the revival of the realistic tradition in the French cinema, which also launched the career of French filmmaker Marcel Carné, for three films Feyder’s loyal assistant director in the mid-1930s, who shortly afterwards went on to direct screen classics such as “Le Quai des brumes”, “Hôtel du Nord” (both 1938), “Le jour se lève” (1939), “Les enfants du paradis” (1945) and the remake of Feyder’s own “Thérèse Raquin” (1953). After the French-German co-production “Les gens du voyage” (1938, Feyder also made the German-language version “Fahrendes Volk”), a circus film which reportedly was moderately received, with Françoise Rosay as Madame Flora in both versions, Feyder directed Michèle Morgan in “La loi du nord” (1939, a.k.a. “La piste du nord” during the German occupation) in one of her earlier films. However, with the fall of France, Feyder and his wife fled to Switzerland where they made two more films together, the lesser known “Une femme disparaît” (1942) and he started working on “Macadam” (1946), also with Simone Signoret in one of the leading roles, but the production was finished by Marcel Blistène after Feyder’s health was in decline. In 1944, Feyder and Françoise Rosay published their mémoires, titled ‘Le cinéma: notre métier’; considering himself a craftsman of filmmaking, the topics he covered in the book include his creative independence and the recurrent themes in his films. With his early death in 1948 at age 62, his career abruptly came to an end. Although he was one of the screen’s most adaptable and gifted film directors of his time, it remains to be seen if he had the possibility, as well as the opportunity, to create other masterpieces. His wife survived him for many decades: she passed away in France in 1974 at age 82, and up until her death, she remained in the spotlights as a supporting actress. Occasionally, she appeared in English-language films too, including William Dieterle’s “September Affair” (1950) with Joan Fontaine and Joseph Cotten, and Terence Young’s “That Lady” (1955) opposite Olivia de Havilland and Gilbert Roland. As far as Mr. Feyder is concerned, he is now nearly a forgotten, ignored and overlooked film director, but there was a time when he was instrumental in putting his birthplace Elsene on the map – actually long before Audrey Hepburn, one of the most iconic screen stars ever, was born in May 1929 only a few blocks down the road, and many decades before Google Maps followed in their footsteps. Jacques Feyder and Françoise Rosay had three sons: Marc, Paul and actor-producer Bernard Frédérix (1926-1999) who appeared on the screen as Bernard Farrel. Posted in Film director, Film history and tagged Abel Gance, Academy Award, Alexander Korda, Anna Christie, Arletty, As You Desire Me, Audrey Hepburn, Èva Francis, Émile Zola, Bernard Farrel, Bernard Frédérix, Black Narcissus, Brigitta Helm, Carnival in Flanders, Cendrillon ou la pantouffle merveilleuse, Charles Spaak, Charles Vanel, Clarence Brown, Crainquebille, D.W. Griffith, Daybreak, Die Herrin von Atlantis, Die klugen Frauen, Ecole Régimentaire, Elsene, Ernst Lubitsch, F.W. Mureau, Fahrendes Volk, Françoise Rosay, Gardiens de phare, Gaumont Film Company, Georg Wilhelm Pabst, Georges Méliès, Gilbert Roland, Gina Lollobrigida, Gina Manès, Greta Garbo, Harry Stradling Sr., Hôtel du Nord, His Glorious Night, Hollywood, Jack Cardiff, Jacques Feyder, Jacques Léon Louis Frédérix, Jean Forest, Jean Grémillon, Jean-Pierre Aumont, Joan Crawford, Joan Fontaine, John Wakeman, Josef von Sternberg, Joseph Cotten, Julien Duvivier, Knight Without Armour, L'Atlantide, L'image, La kermesse héroïque, La loi du nord, La piste du nord, Léon Gaumont, Léonce-Henri Burel, Le grand jeu, Le jour se lève, Le Quai des brumes, Le spectre vert, Les enfants du paradis, Les gens du voyage, Les nouveaux messieurs, Lionel Barrymore, Louis B. Mayer, Louis Delluc, Louis Jouvet, Macadam, Marc Frédérix, Marcel Blistène, Marcel Carné, Maria Montez, Marlène Dietrich, MGM, Michael Curtiz, Michèle Morgan, My Fair Lady, Napoleon, Norma Shearer, Olivia de Havilland, Olympia, Paul Frédérix, Pension Mimosas, Pierre Benoit, Poil de carotte, Ramon Novarro, Révolte dans le prison, Rex Ingram, Richard Roud, Robert Donat, Robert Siodmak, Salka Viertel, Samuel Goldwyn, September Affair, Si l'empereur savait ça, Simone Signoret, Siren of Atlantis, Son of India, Stacia Napierkowksa, Terence Young, That Lady, Thérèse Raquin, The Big House, The Kiss, The Picture of Dorian Gray, The Unholy Night, Une femme disparaît, Visages d'enfants, William Daniels, William Dieterle. Bookmark the permalink.